In Indonesia they refer to Borneo as Kalimantan so when I received the itinerary for my current trip through Indonesia I didn’t even realize that, that is where I would spend my first two days. Honestly I didn’t even realize that Borneo was a part of Indonesia. Quite frankly I’m not sure where I thought it was. I’ve now come to learn that Borneo is the third largest island in the world with almost 3/4s of the land belonging to Indonesia and the majority of the rest of it belonging to Malaysia. 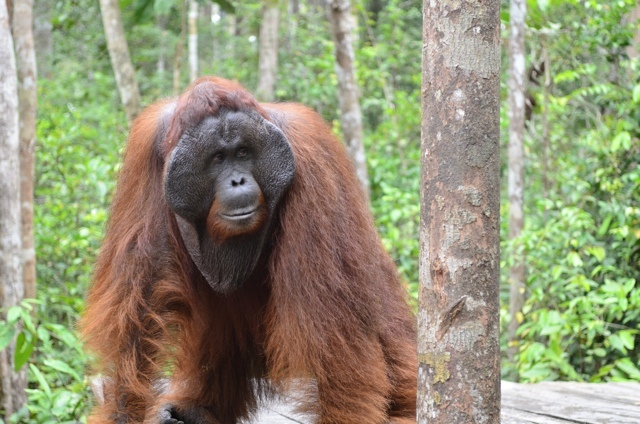 I’ve also learned that Orangutans can only be found wild in Indonesia and Malaysia and Tanjung Puting National Park is the best place to see these gentle beasts. The National Park is home to approximately 6,000 wild Orangutans (with 30,000 total in the country) and is also where you can find the rehabilitation center and multiple Orangutan preserve camps organized by Orangutan Foundation International. 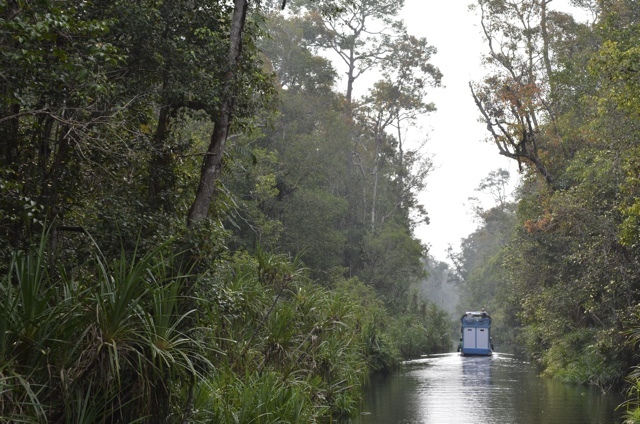 For two days and one night we lived on the Sekonyer River, visiting the Orangutan camps, spotting wild monkeys and Proboscis monkeys in the trees along the river banks. We ate great Indonesian food cooked in the hull of our Klotok boats by some local women, we slept on the open air deck under mosquito nets and met with Fred Galdikas (son of Dr. Birute Galdikas the founder of the foundation.) who talked to us about the Orangutans and his experiences. A Klotok makes its way down the river Sekonyer through the thick jungles of Borneo, Indonesia. It was one of the greatest experiences I have ever had. How many people do you know that can say “Oh ya, I spent two days on a boat in the jungles of Borneo searching for Orangutans once.“? Epic right? Well for me it is at least. It was definitely a bucket list item for me that I hadn’t even had the chance to add to my list, but definitely suggest, visiting these awesome creatures should now be added to yours. I have plenty more to talk about with this experience but for now I will just leave you with a photo essay and a suggestion to check out the foundations website and perhaps donate if you feel so inclined. 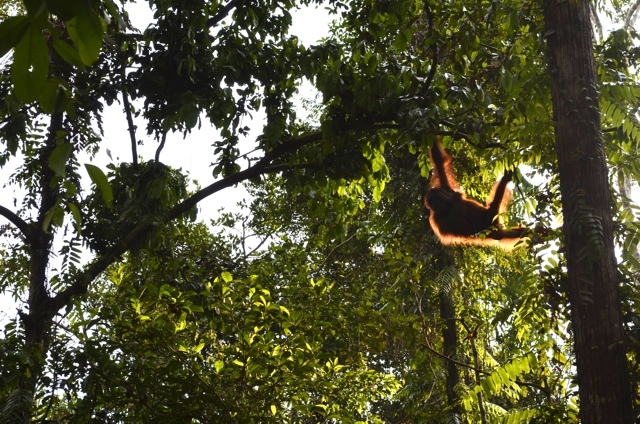 A silhouette as this Orangutan makes his way to the fresh bananas. The dominant Orangutan in the area approaches the fresh bananas for first choice of the best. A wild mother and 2-3 year old baby Orangutan hang out at the side of the river watching all of the boats pass by. 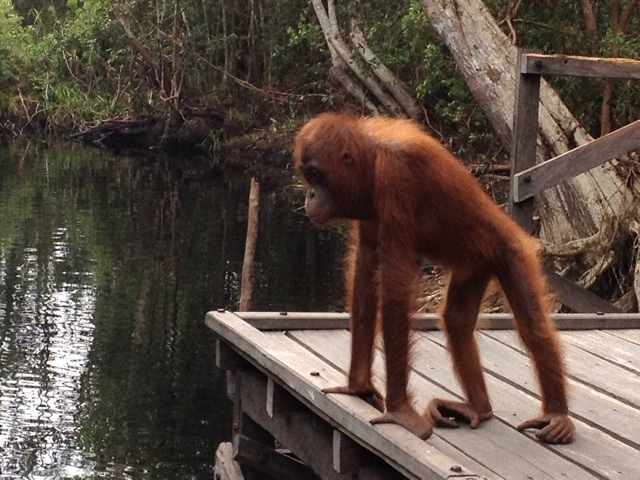 A curious Orangutan looks into the river. 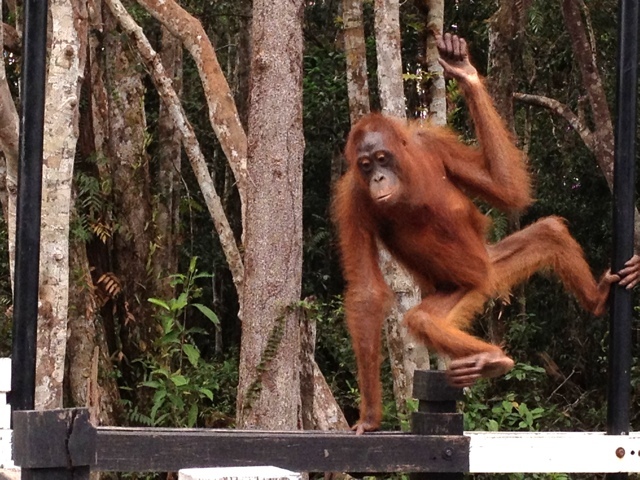 Action shot as an Orangutan hops along a fence. I am traveling in Indonesia until October 19th, 2012 thanks to Indonesia.Travel . 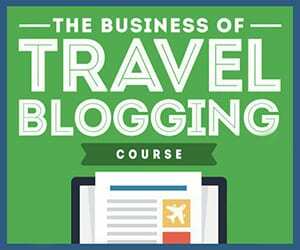 Follow along with my updates here on the site, on Twitter @CailinONeil @TravelYourself and on Facebook. Also be sure to stayed tuned for some great new videos and a chance for you to win your very own trip to Indonesia. Thank you to the Indonesia Tourism board for inviting me to have this amazing experience. You sure have seen them. 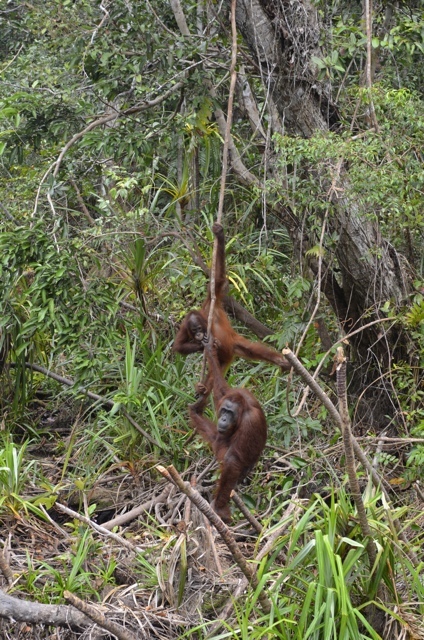 They look very happy in the wild and Borneo is the place to go visit them. I have never been there but it has been on my list to go place. I want to travel around the world and schools abroad but do not have the money. Do you have any idea that I could go to school abroad? Do you have information about scholarships? We went to the orangutan wildlife sanctuary just outside of Kuching – it’s a 3 ringgit bus ride (about 45mins?) to get there, and the entrance fee is only about 6 ringgit (or half that if you show them any student card). 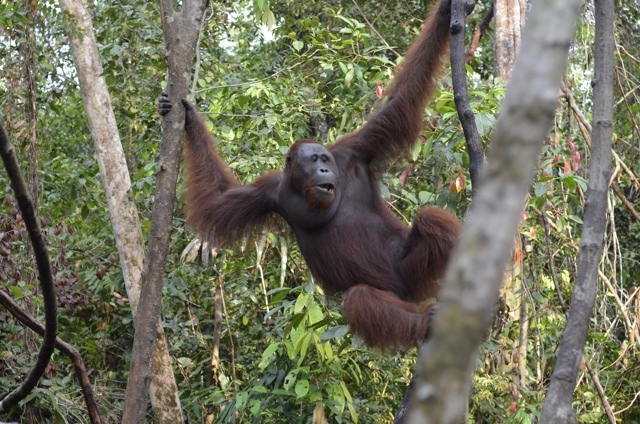 We saw a whole lot of orangutans (and very close), including a mother and baby, a HUGE male (who monopolised the bananas), and at least 10 other orangutans of varying ages. I’m glad we went there, as it was so incredibly cheap and also rewarding. The bus (just ask someone there whch one) departs the bus station near the main mosque in Kuching at 7.15 am (best to be there at 7am) every day, and the return bus leaves the park at maybe 11am – but rather than wait around we ended up getting a lift with a tour group heading back to Kuching, and paid maybe 10 ringgit each, but it saved us a long wait in the heat. I would recommend this park if you don’t have much time, money or both :) Beware of organised tours there though, for around 40rm, since it’s so cheap to get the bus yourself. How cool! I reckon that would be absolutely amazing. 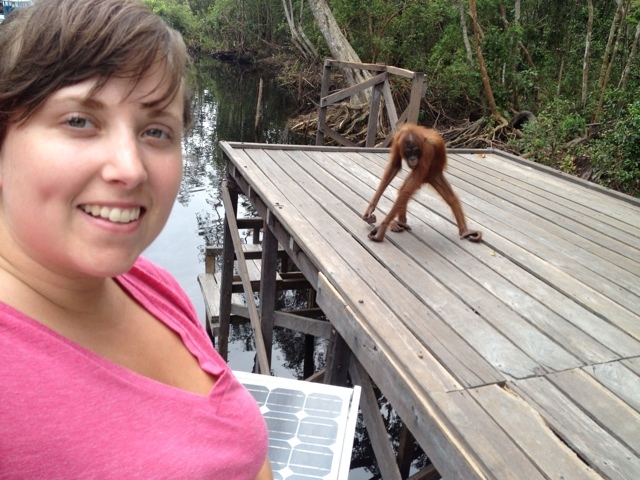 My 9 year old loves orangutans and wants to see them in the wild so badly – she thought your pics were amazing!! Thanks Lisa! It was quite a cool experience! She would love it! What an incredible experience to see them in the wild, most people only ever see them in zoos. Great photos! I visited the Semenggoh wildlife rehabilitation centre a few years ago. Well worth the trip. It’s quite easy to access from Kuching by taking a bus.